US officials in the Department of Energy (DOE) respond to an intelligence report released the previous day (see April 10, 2001) which contended that the aluminum tubes sought by Iraq (see July 2001) are destined for use as centrifuge rotors in a uranium enrichment program. The Energy Department argues that the tubes are too narrow, too heavy, and too long to be used in a gas centrifuge. 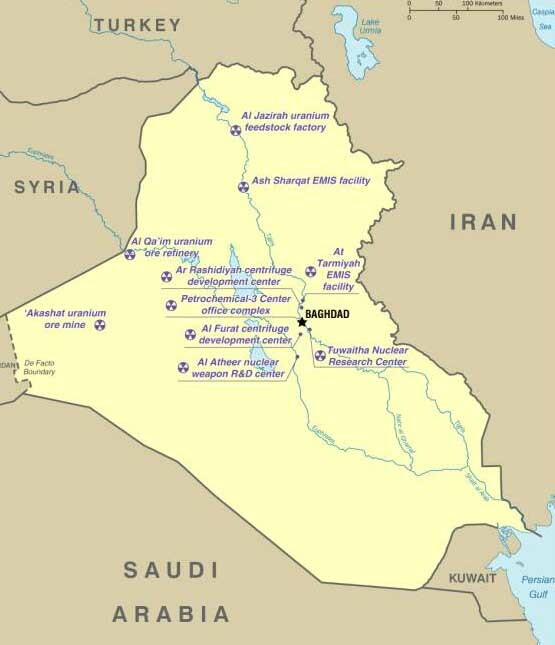 Furthermore, “the tubes’ specifications suggest a centrifuge design quite different from any Iraq is known to have.” The officials also note that there is no evidence that Iraq is seeking to acquire other materials that would be needed to construct a centrifuge. And if the Iraqis intend to use the tubes for uranium enrichment, the officials ask, why are they making no effort to conceal their interest in acquiring the tubes? 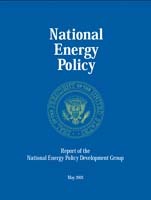 “[T]he manner in which the procurement is being handled (multiple procurement agents, quotes obtained from multiple suppliers in diverse locations, and price haggling) seems to better match our expectations for a conventional Iraqi military buy than a major purchase for a clandestine weapons-of-mass destruction program,” the report notes. [US Congress, 7/7/2004; New York Times, 10/3/2004] The DOE therefore concludes that “while the gas centrifuge application cannot be ruled out, we assess that the procurement activity more likely supports a different application, such as conventional ordnance production.” The agency considers it more plausible that the tubes are meant to serve as rocket casings. 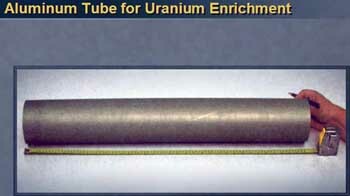 Notwithstanding, the DOE concedes that it has “not identified an Iraq-specific, military, or other noncentrifuge application that precisely matches the tube specifications.” [US Congress, 7/7/2004] The DOE will identify a possible specific conventional military application for the tubes the following month (see May 9, 2001). 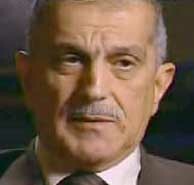 Hynek Kmonicek, the Czech Republic’s deputy foreign minister, informs the Iraqi charge d’affaires in Prague that Iraqi diplomat Ahmed al-Ani must leave the Czech Republic within 24 hours because his “presence [is] not in the security interests of the Czech Republic” and because his activities are “incompatible with his diplomatic status.” [Independent, 10/25/2001; New York Times, 10/27/2001; New York Times, 12/16/2001; New York Times, 11/19/2003] Kmonicek will later deny that the dismissal is related to the meeting that allegedly took place on April 8 (see April 8, 2001). 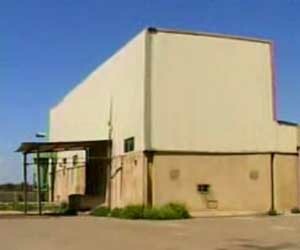 A Newsweek report in April 2002 will suggest the dismissal is related to video surveillance footage showing al-Ani photographing the Radio Free Europe building on several occasions. [Newsweek, 4/28/2002] But a November 2003 report in Slate will say that the dismissal is indeed related to the alleged meeting, explaining that Czech intelligence had become nervous after learning of the meeting. [New York Times, 11/19/2003] The real cause for his dismissal is never officially disclosed. During a National Security Council deputy principals meeting on April 30, 2001, Paul Wolfowitz is challenged by White House counterterrorism advisor Richard Clarke after asserting that Iraq is involved in terrorism. Recalling the meeting, Clarke tells The Guardian in a March 2004 interview: “April was an initial discussion of terrorism policy writ large and at that meeting I said we had to talk about al-Qaeda. And because it was terrorism policy writ large [Paul] Wolfowitz said we have to talk about Iraqi terrorism and I said that’s interesting because there hasn’t been any Iraqi terrorism against the United States. There hasn’t been any for 8 years. And he said something derisive about how I shouldn’t believe the CIA and FBI, that they’ve been wrong. And I said if you know more than I know tell me what it is, because I’ve been doing this for 8 years and I don’t know about any Iraqi-sponsored terrorism against the US since 1993. When I said let’s start talking about bin Laden, he said bin Laden couldn’t possibly have attacked the World Trade Center in ‘93. 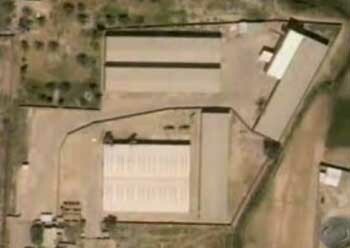 One little terrorist group like that couldn’t possibly have staged that operation. It must have been Iraq.” [Guardian, 3/23/2004] During the same meeting, Wolfowitz also allegedly dismisses bin Laden and al-Qaeda as a serious threat (see April 30, 2001). John Bolton allegedly telephones Jose Bustani, head of the Organization for the Prohibition of Chemical Weapons, and, according to Bustani, tries “to interfere, in a menacing tone, in decisions that are the exclusive responsibility of the director-general.” Bolton “tried to order me around,” Bustani later explains in an interview with the Le Monde newspaper of France. [Associated Press, 6/5/2005] Bolton and others in the State Department’s arms-control bureau are upset that Bustani is attempting to convince Saddam Hussein to sign the chemical weapons convention with hopes of eventually sending chemical weapons inspectors to Baghdad (see Between January 20, 2001 and June 2001). The 24th negotiating session convenes to negotiate a proposal to add an enforcement and verification protocol to the Biological and Toxin Weapons Convention (BWC). For three days, representatives from 55 member-states speak favorably of ending the negotiations and adopting the protocol. The mechanism would require member-states to annually declare their biodefense facilities and programs as well as any industrial facilities with capabilities to produce microbial cultures in quantity. Additionally, all member-states would be subject to random inspections of any plant where biological weapons could be made. Inspections would also be conducted if a facility is suspected of illegally producing bioweapons; there are allegations of bioweapons use; or in the event of a disease outbreak suspected to be the result of the activities of a bioweapons facility. 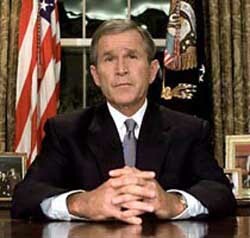 Bush addresses the nation from the White House. [Source: White House]From the White House Oval Office, President Bush gives a seven-minute address to the nation on live television. [CNN, 9/11/2001; CNN, 9/12/2001; Woodward, 2002, pp. 31] He says, “I’ve directed the full resources of our intelligence and law enforcement communities to find those responsible and to bring them to justice.” In what will later be called the Bush Doctrine, he states, “We will make no distinction between the terrorists who committed these acts and those who harbor them.” [US President, 9/17/2001; Washington Post, 1/27/2002] Washington Post reporter Dan Balz will later comment that this “those who harbor them” statement “set the tone for where the administration was going both with Afghanistan and, I think, with Iraq.” Bush’s speechwriter at the time, David Frum, will later say: “When he laid down those principles, I don’t know whether he foresaw all of their implications, how far they would take him. I don’t know if he understood fully and foresaw fully the true radicalism of what he had just said.” Neoconservatives see hope that the words could lead to an invasion of Iraq. 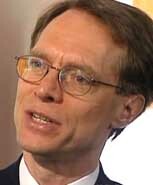 Author and former National Security Council staffer Kenneth Pollack will comment, “It does seem very clear that after September 11th, this group seized upon the events of September 11th to resurrect their policy of trying to go after Saddam Hussein and a regime change in Iraq.” [PBS Frontline, 2/20/2003] Secretary of State Colin Powell arrived back from Peru too late to influence the content of this pivotal speech (see (Between 7:40 p.m. and 8:40 p.m.) September 11, 2001). After a meeting with the full National Security Council from 9:00 to 10:00 p.m. (see (9:00 p.m.-10:00 p.m.) September 11, 2001), President Bush continues meeting with a smaller group of advisers. During this meeting, Bush says the US will punish not just the perpetrators of the 9/11 attacks, but also those who harbored them (this closely echoes the rhetoric he used in a speech that evening (see 8:30 p.m. September 11, 2001)). Secretary of State Colin Powell suggests the US needs to build a coalition of other nations. But according to the 9/11 Commission, Defense Secretary Donald Rumsfeld urges Bush to “think broadly about who might have harbored the attackers, including Iraq, Afghanistan, Libya, Sudan, and Iran. He wonder[s] aloud how much evidence the United States would need in order to deal with these countries, pointing out that major strikes could take up to 60 days to assemble.” [9/11 Commission, 7/24/2004, pp. 330] According to journalist Bob Woodward, at this meeting, “Rumsfeld actually puts Iraq on the table and says, ‘Part of our response maybe should be attacking Iraq. 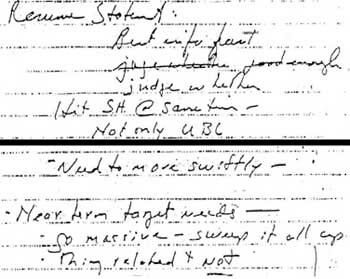 It’s an opportunity.’” [PBS Frontline, 6/20/2006] Earlier in the day, notes by a Rumsfeld aide indicate Rumsfeld was aware that evidence was already suggesting al-Qaeda was behind the 9/11 attacks, but he wanted to use 9/11 as an excuse to attack Iraq as well (see (2:40 p.m.) September 11, 2001). US President George Bush speaks privately with White House counterterrorism “tsar” Richard Clarke in the White House Situation Room. According to Clarke, Bush tells him to investigate the possibility that Iraq was involved in the attacks. 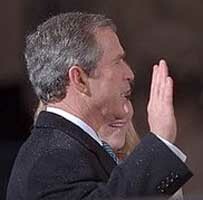 “I want you, as soon as you can, to go back over everything, everything,” Bush says. “See if Saddam did this.” When Clarke responds, “But Mr. President, al-Qaeda did this,” Bush replies, “I know, I know, but… see if Saddam was involved. Just look. I want to know any shred.” Clarke insists that the CIA, FBI, and White House already concluded that there were no such links. As he exits the room, Bush “testily” says again, “Look into Iraq, Saddam.” [Washington Post, 3/22/2004 Sources: Richard A. Clarke] During a “60 Minutes” interview, Clarke will say that Bush’s instructions were made in a way that was “very intimidating,” and which hinted that Clarke “should come back with that answer.” “Now he never said, ‘Make it up.’ But the entire conversation left me in absolutely no doubt that George Bush wanted me to come back with a report that said Iraq did this.” [CBS News, 3/21/2004; New York Times, 3/23/2004] Clarke’s account is later confirmed by several eyewitnesses. [CBS News, 3/21/2004; BBC, 3/23/2004; Guardian, 3/26/2004] After his meeting with Bush, Clarke works with CIA and FBI experts to produce the report requested by Bush (see September 18, 2001).